If I’m going to talk about how being a nursing mama doesn’t mean you have to deprive yourself, wouldn’t my energy be better spent discussing something perhaps more useful like how to pump enough breast milk to enjoy a night out on the town? Or…yes, how romance with your partner is still absolutely possible? Or even…how to enjoy a glass of wine or your favorite cocktail while exclusively breastfeeding? But, here I choose to write about pumpkin spice smoothies, seriously? Well, ‘tis the season for pumpkin spice! In all seriousness though, the amount of questions I have been asked over the years surrounding the hot topic of what foods should be eaten and what foods should be avoided while breastfeeding are endless. Many new moms I’ve worked with are concerned that their diets have to be flawless in order to continue breastfeeding. Even if that isn’t a concern, many others have been told that adding any sort of spices to their diet will make baby fussy. Or that a daily cup of coffee will somehow be harmful or even possibly disrupt their baby’s sleep. So, all in the spirit of fun during this fall season, I was inspired to write this post so you can rest easy knowing that, yes, you can still add plenty of spices to your diet along with lactogenic loving ingredients to support breastfeeding. 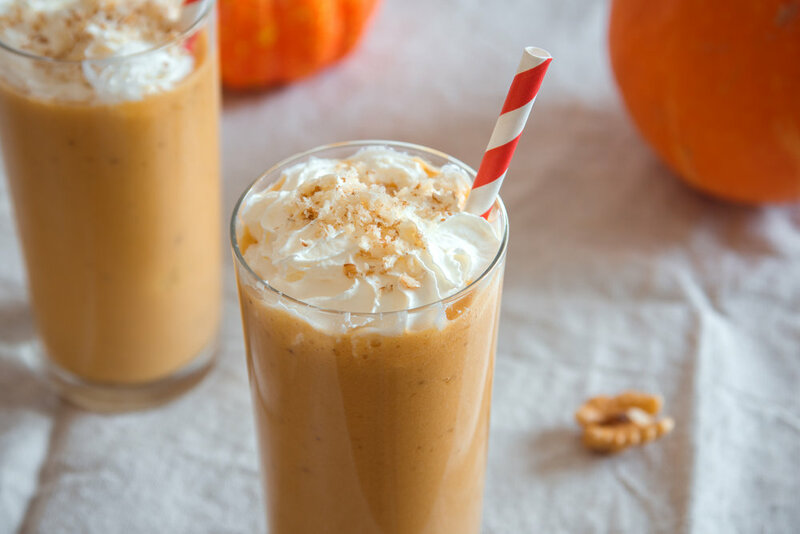 You can even add a splash of coffee (see recipe options below) to this smoothie in order to transform it into a nutritiously delicious pumpkin spice latte. YUM! As a breastfeeding mama it’s important to nourish yourself with high-quality, nutritious foods and beverages, but not feel deprived in the process. 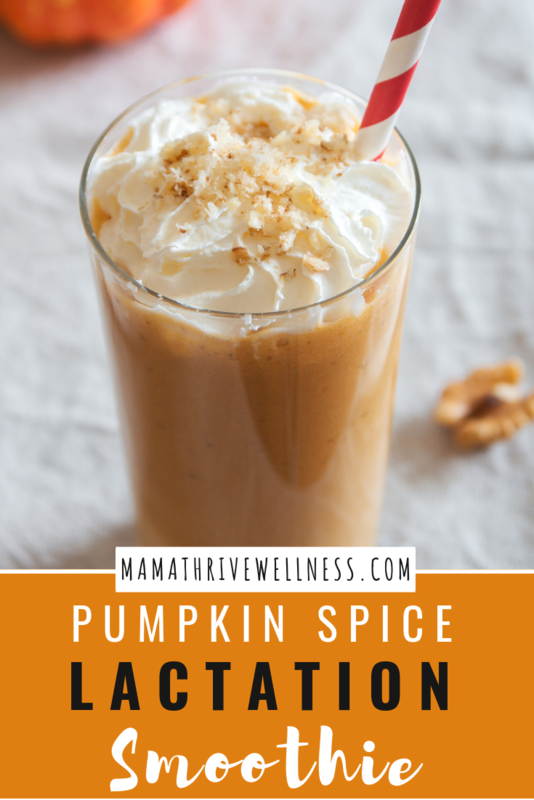 Skip the lines - and the high sugar content which can contribute to a colicky baby - and come celebrate the pumpkin spice season with this simply delicious lactation smoothie (or latte)! This recipe blends lactogenic ingredients such as pumpkin, coconut milk, mango, carrot, cinnamon, and honey to not only make this smoothie super nutrient-dense, but it can help promote a healthy milk supply as well. Blend until creamy & smooth. QUICK HACK: Don’t have time to measure out each individual spice? Omit from the recipe & substitute with 1 teaspoon of pumpkin pie spice instead. Want a PUMPKIN SPICE LATTE Alternative? Blend or serve over ice for an Iced Pumpkin Spice Latte -OR- warm slightly over stove for a more traditional version. Now it’s your turn, mama! Are there any particular ingredients you found to work well supporting your milk supply? I’d love to hear about your experience in the comments below!